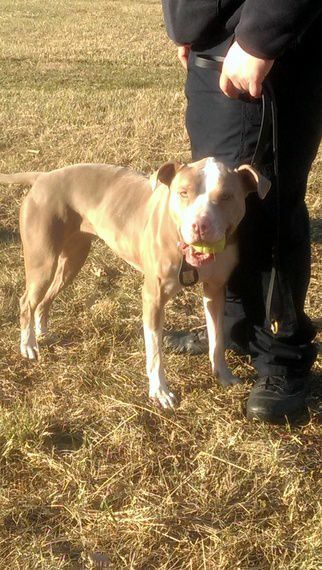 Left for dead in a supermarket parking lot in Texas, Kiah the pit bull has made a new name for herself. You'll never guess what it is. Abandoned in the parking lot of a grocery store, Kiah had a severe wound to her head and was taken in by a local shelter. Sadly, despite being taken off the street, Kiah's odds of living a full life were limited because of prejudice against her breed. Today? 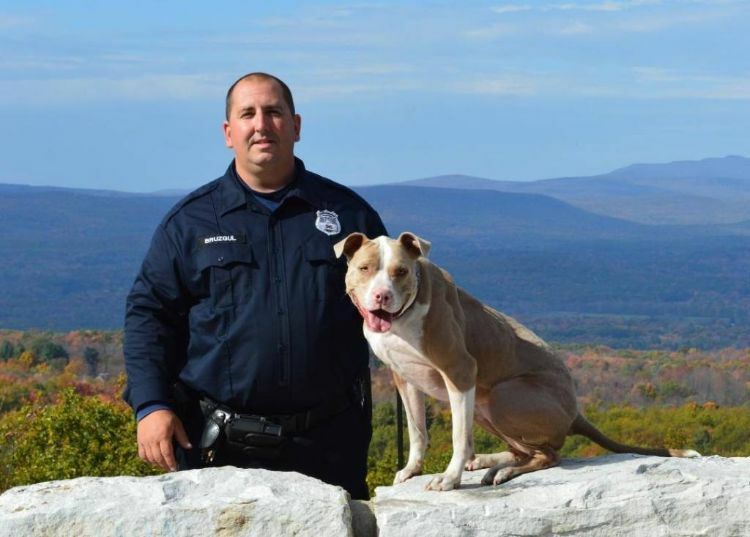 Kiah is now defending the people of Poughkeepsie, New York, and leading the way for other rescue dogs in the field of police work. Keeping reading to see how. According to Save-a-Bull Rescue, an estimated 1 million pit bulls are euthanized every year, a rate of 2,800 a day. Roughly 75% of municipal shelters euthanize pit bulls upon intake, never giving those dogs a chance to be adopted. There is a 93% euthanasia rate for pit bulls, and only 1 in 600 finds a permanent home. Luckily for Kiah, she beat those daunting odds. With the help of the Animal Farm Foundation, Austin Pets Alive!, and UniversalK9, Kiah received a second chance at life. 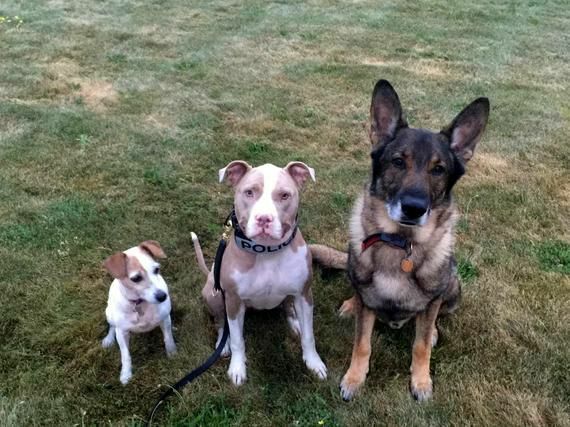 These three organizations work together to select pit bulls from shelters for their Detection Dogs Program, and Kiah was fortunate enough to be rescued from the shelter to become part of this program. During her training, Kiah proved herself to be a dedicated, loyal, intelligent, and confident dog, the exact qualities that police departments want in their K9 officers. She aced all her tests, and Universal K9 notified New York Police Departments that she was available at no cost. 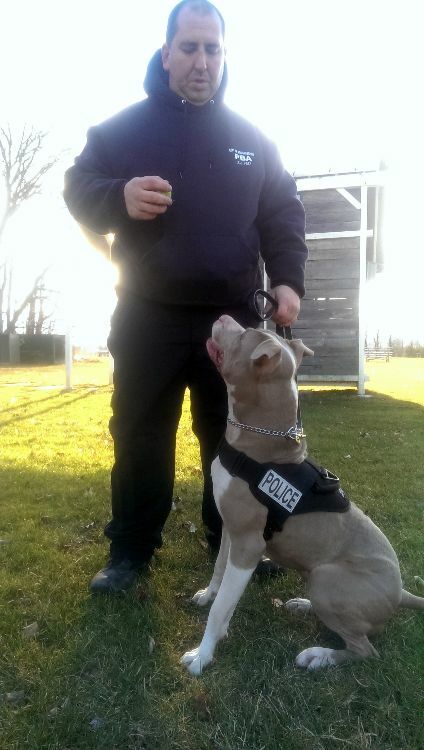 The City of Poughkeepsie jumped at the opportunity to bring her on board, and Kiah became New York State's first K9 pit bull! Officer Justin Bruzgul traveled to Texas to train with Kiah, and after 16 weeks, they graduated, and Kiah moved to New York. She is now a patrol dog during working hours, focusing on sniffing out narcotics and detecting other suspicious articles. Kiah is also an important member of the missing persons team. After the work day ends, Officer Bruzgul brings Kiah, whom he now calls his "best friend," back home with him where she lives the high life in a loving home with her two canine buddies, Cosmo the Jack Russell terrier, and Cody, a German Shepherd. 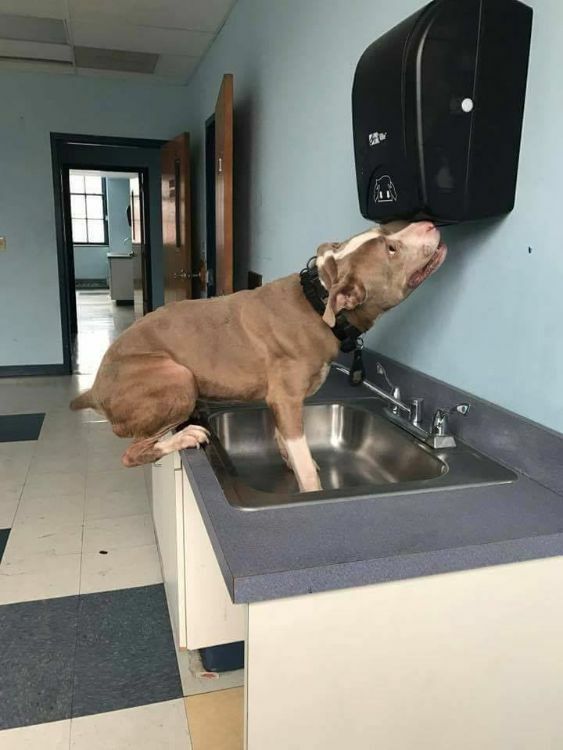 In her spare time, Kiah also works as an ambassador for her breed, teaching the general public about the wonderful personalities that many pit bulls have. She visits schools and attends conferences with Officer Bruzgul to show how loving this breed is and how effective it can be at police work. 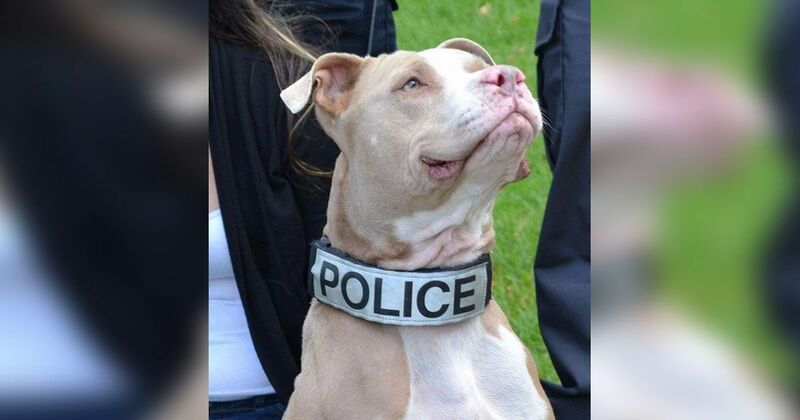 Thanks to Kiah, more police departments around the country are "hiring" pit bull detection dogs to keep the streets safe for everyone. 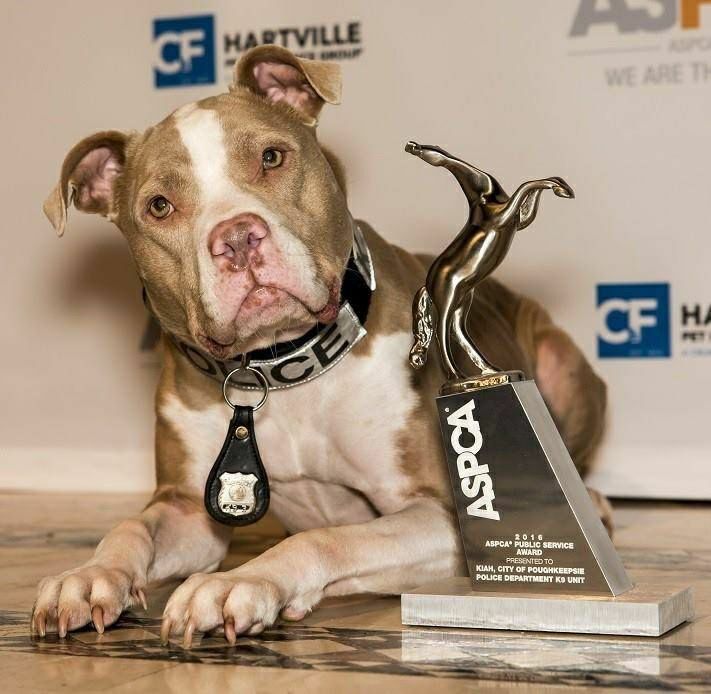 Recently, Kiah received an ASPCA public service award for her accomplishments and her role as an educator of the public. Congratulations to Kiah for a job well done! Watch the video below to see Kiah demonstrating her sweet skills and share her heartwarming story with your family and friends on Facebook.